With a powerful magnet that snaps precisely into place and stays there. 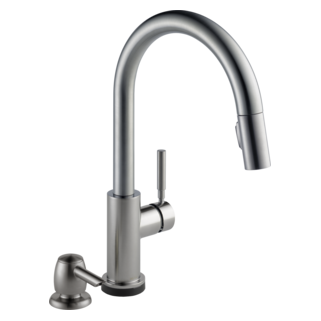 Delta MagnaTite Docking uses a powerful integrated magnet to snap your faucet spray wand precisely into place and hold it there so it stays docked when not in use and doesn’t droop over time. Select Delta In2ition Two-in-One Shower Heads are equipped with MagnaTite Docking for easy, smooth docking every time. The firm hold of the magnet keeps your hand shower secure, but comes free with a gentle tug to give you complete flexibility. Product install was easy and it functions great. 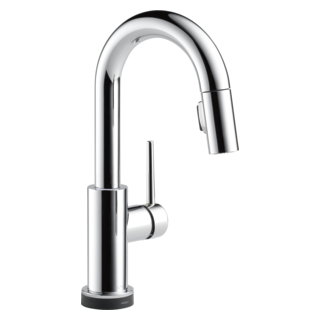 The Sartori single-handle faucet is a work of art. 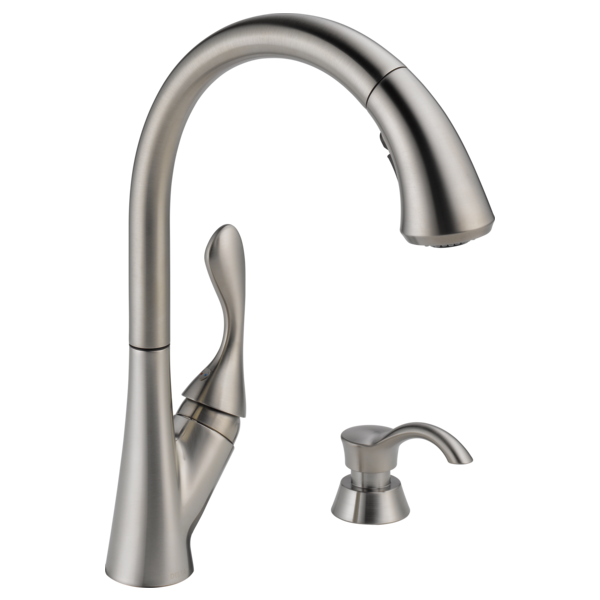 Not only is the Sartori faucet aesthetically attractive, but its performance is excellent. 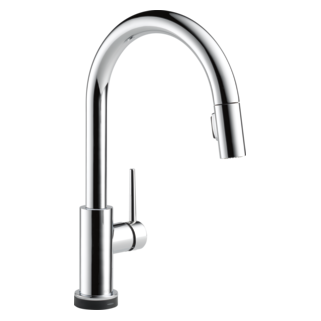 The easy to use single handle streamlines the overall appearance of the counter top, and the spray and stream functions make clean up and food preparation easier, as well. 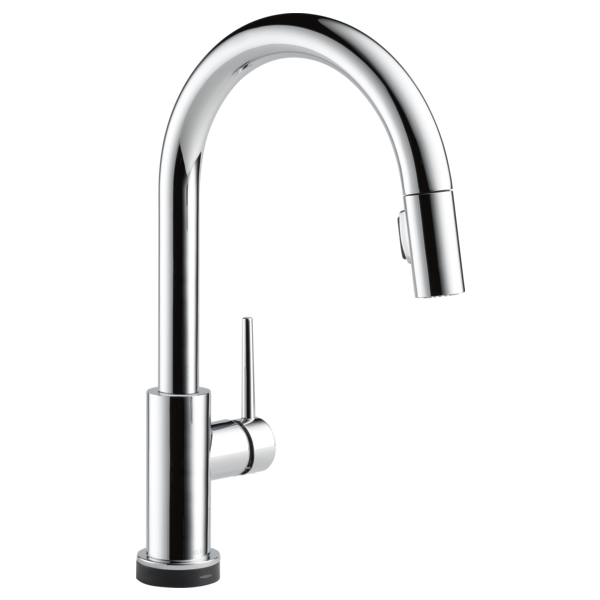 The movable, curved, swan-like neck and retractable hose make it simple to fill pots and pans with water. Finally, the firm, magnetic nozzle puts an end to the wrestling experienced with some of the previous designs. During the last month, since it was installed, I have very much liked the product. 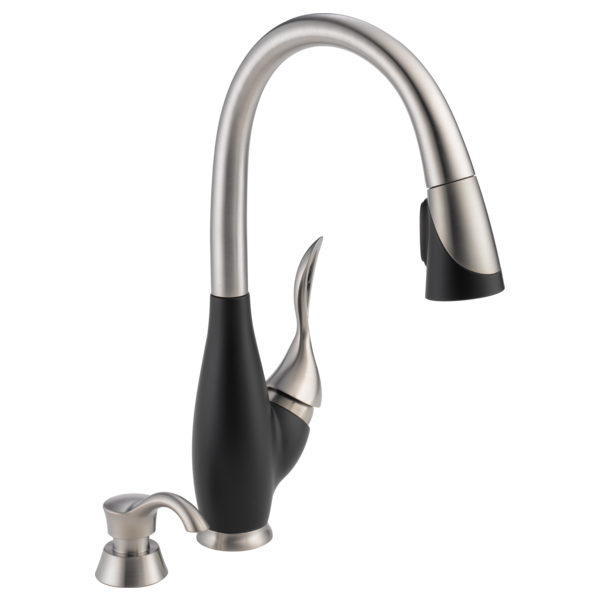 This faucet is beautiful and efficient, and I recommend it to anyone who is looking for a more contemporary version of some of the earlier Delta kitchen faucets, along with a lifetime warranty. 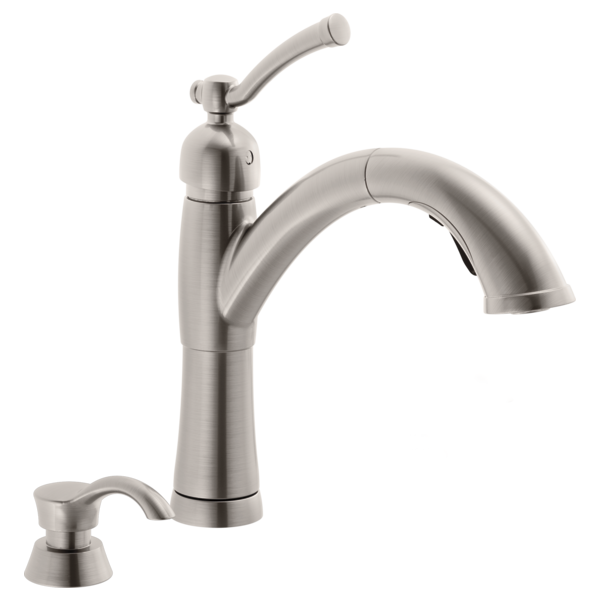 This faucet works as good as it looks. The installation was a breeze. The finish is very appealing and does not show fingerprints. The pull down sprayer glides in and out very smoothly and the magnet docks the sprayer snug. 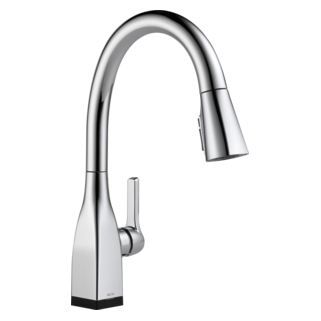 This faucet works great , and am happy to have this as my first Delta faucet purchase. The magnet head docking is wonderful and it works at any angle. 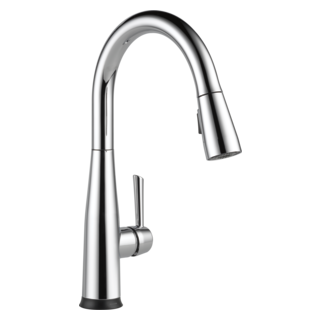 Because of its height, I can fit in all kitchen appliance to fill in water as well as reach any place I need to. Overall, I will highly recommend this model especially with double sinks.